The Bills ranked ninth in the NFL in rushing this season, but that was thanks to Josh Allen – who set the franchise record for rushing yards by a quarterback – not the Bills' running game. One of the areas Mark Gaughan's statistical breakdown of the Bills' 2018 season looked at was just how poorly the Bills did on the ground. The answer: shockingly bad. 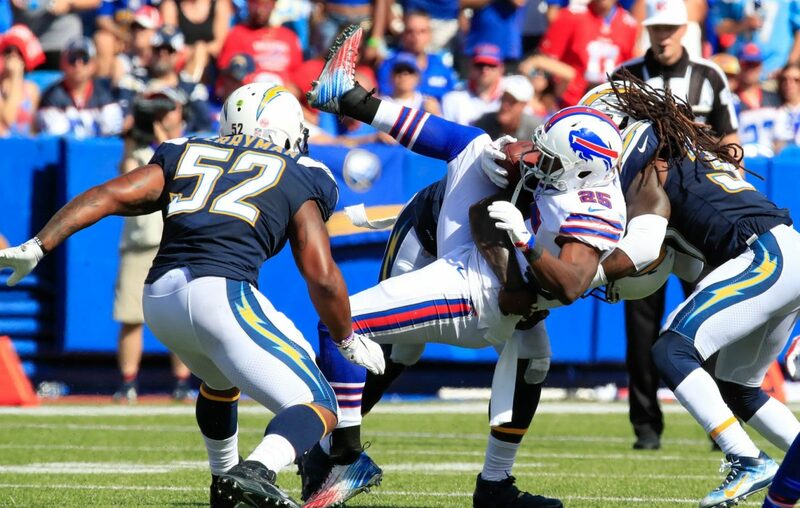 "The Bills average yards per game by running backs (77.3) was the lowest in the 59-year history of the franchise," Gaughan wrote. But at least that gives a reason for optimism heading into Allen's sophomore season: "He surely will get more help from the running game," Gaughan wrote. "Right?" Bills can look at this year’s Senior Bowl through a wider lens: When the Bills' brass went to Mobile, Ala. last year, it was to get insight on quarterbacks, including Josh Allen. But now, "With Allen in place and needs practically everywhere else," Vic Carucci wrote, "the Bills can go in a variety of directions with the ninth overall choice." [BN] Blitz newsletter: Does Tom Brady's ageless performance delay Bills timetable for winning?